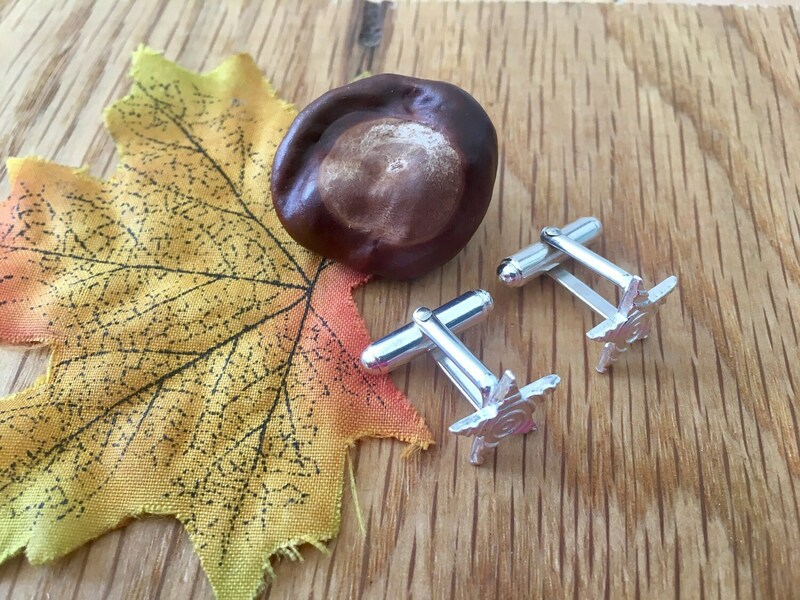 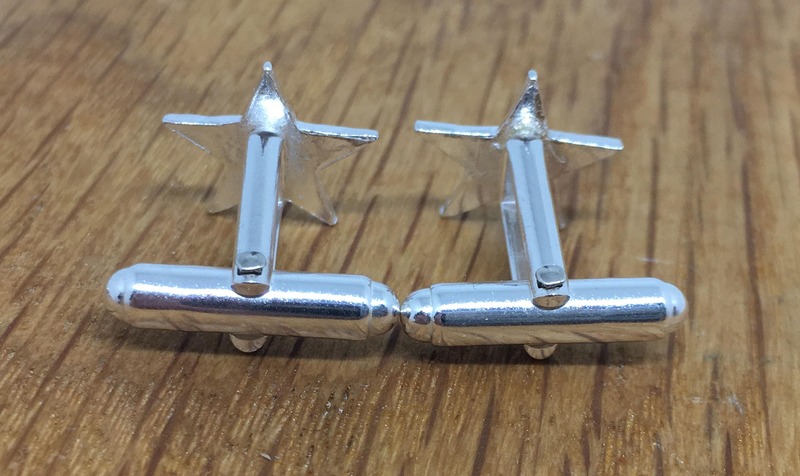 TThese are striking handmade solid silver star cufflinks which measure 2.5cm x 2.5cm. 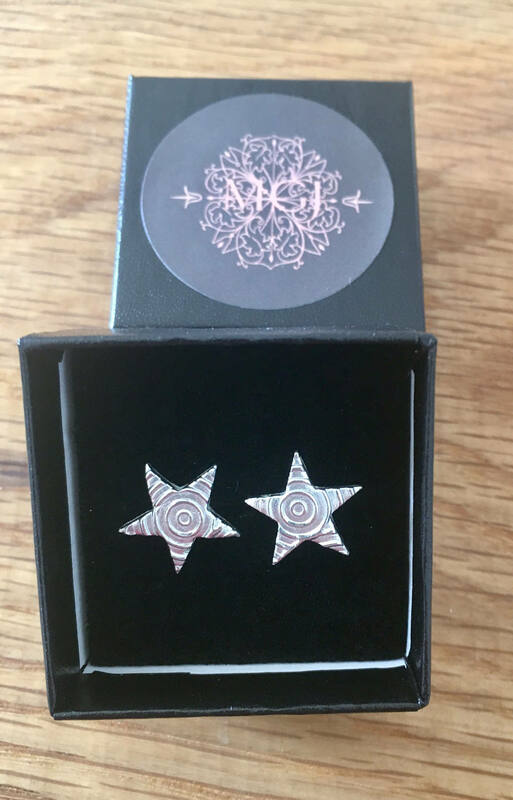 They have an unusual swirly circular detail and would make the perfect Father's Day present or gift for dad. 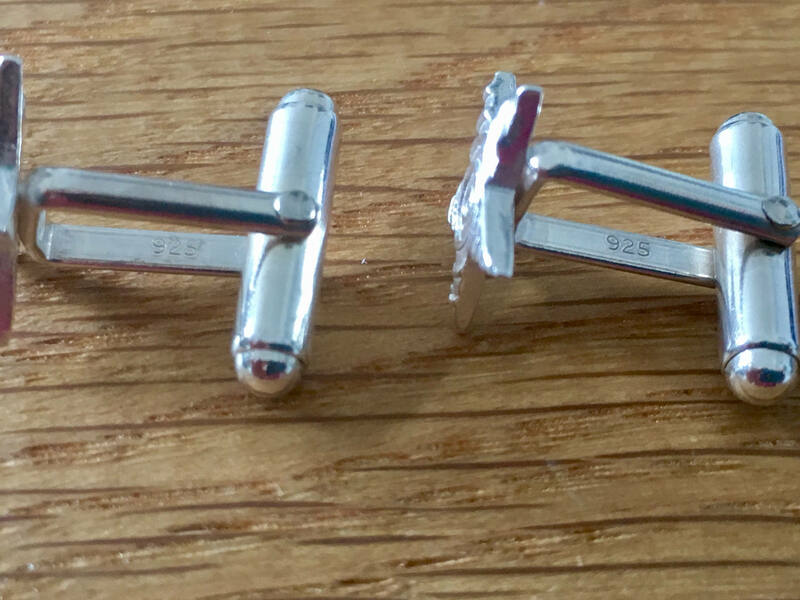 The silver has been oxidised in the first pictures, to show off the detail, or this can be polished back so that they are a plain silver. 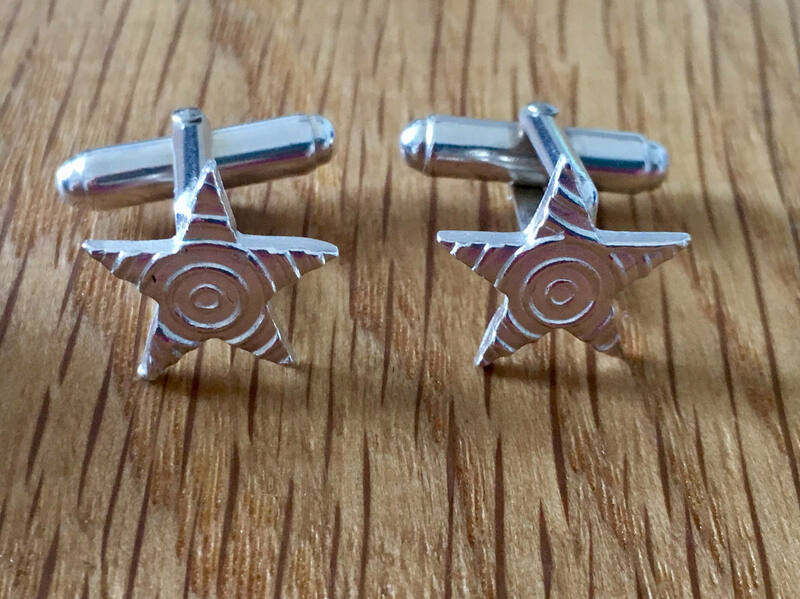 Non patterned star cufflinks are also available. 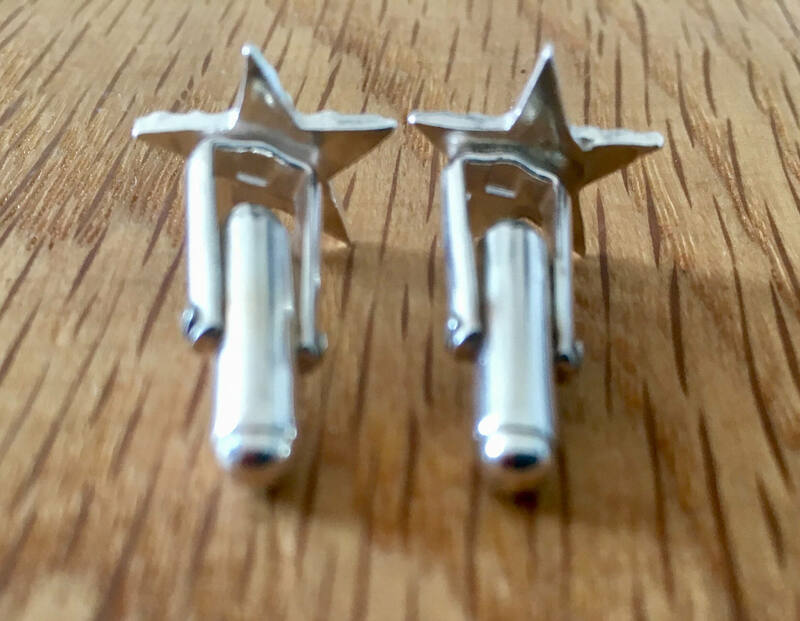 Matching ladies jewellery is also available.